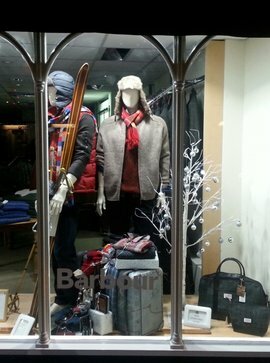 Situated in the historic town of Saint Ives Cadge Menswear can offer you the largest choice of Men’s clothing in the area, Whether it be for a Business suit , or more casual attire from such Brands as Barbour- Olymp-Fynch Hatton -Meyer-Gurteen-Digel- Weird Fish,-Loakes and many more. Here at Cadge we pride ourselves on customer service, with professional staff on hand to offer advice on colour, sizes and fit that best suits you. Should alterations be required we have a Saville Row trained tailor on hand!